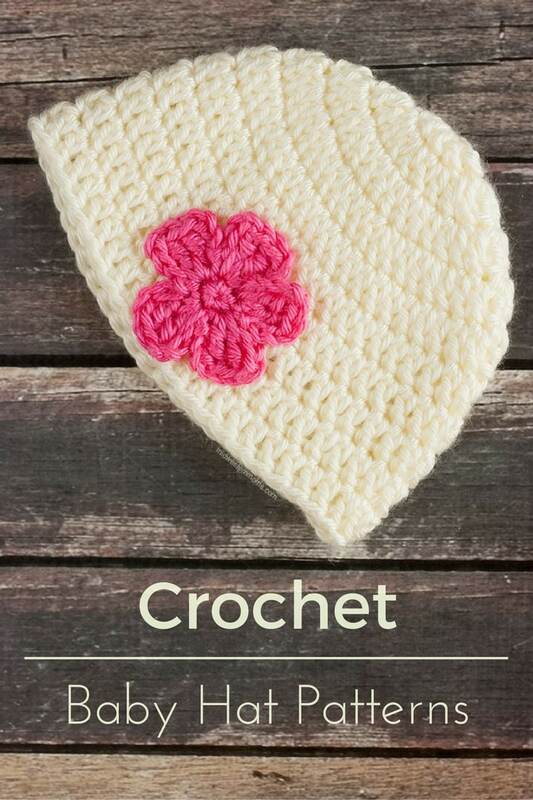 Crochet baby hats are just down right adorable! They are usually projects that can be done rather quickly, however, there are a few that are more intricate in detail (like old-fashion style bonnets). Crochet baby hats are a perfect photography prop! How many adorable newborn photos have you seen that have crochet items in them? Quite a few do! Crochet Hats are the perfect way to get an individual touch for photo shoots and for everyday wear. I have worked on a few easy crochet baby hat patterns in the past and will work on creating more as my skills develop. The yarn you choose will depend on the type of hat you are creating. So far, I have used Caron Simply Soft yarns for hats but there are much more to choose from. Just keep in mind these will be on babies so soft is best. I have created a printable chart for making adjustments to patterns for different sizes. To get this chart, put your email in the newsletter box it will be sent to you in an email to print. These round-ups will include both free and paid patterns.